Avanti offers complete care for the body and mind. Treat yourself or your special someone to rejuvenating treatments such as Body Massages, Vichy Shower, Body Scrubs, Facials, Manicures and Pedicures, all designed to pamper your skin while offering total relaxation. We offer Haircuts, Highlights, Bridal Hair & Makeup as well as Waxing for Women and Men, Nail Enhancements, Ear candling, Make-Up Artistry, Hair stylists & salon specials and more. Copyright © 2015 All Rights Reserved. 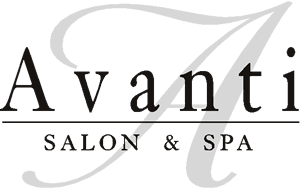 Avanti Salon & Spa Clarkston Michigan.